Includes a collection of genuine Hillary Clinton laughs, digitally recorded from real TV interviews. Make Friends and Family Laugh out Loud With This HILLarious Novelty Talking Pen!! Whether you're a Democrat or Republican, show your support or sarcasm in the upcoming 2016 presidential election with the funniest political gift ever made! Love her or hate her, the HILLARY LAUGHING PEN (TM) will have everyone in stitches! - Includes a collection of genuine Hillary Clinton laughs, digitally recorded from real TV interviews. - We challenge you to keep a straight face when the motorized mouth of the look-a-like pen moves in sync with every giggle and guffaw of the potential next president. 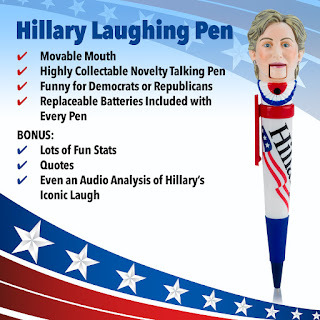 - Every pen comes with replaceable batteries, meaning the laughs won't stop even when the votes are in! - Makes a great stocking stuffer and collectible gift for the politically minded. 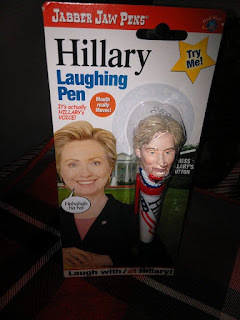 Being a fan of humor and Hillary Clinton, I was happy to get this Hillary Laughing Pen from Jabber Jaw Pens. 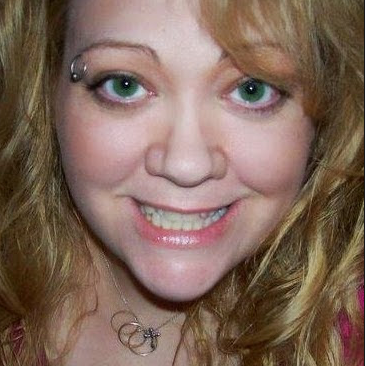 I have to say, I also have the Best Worst Laugh of anyone I know lol. It does not stop me from laughing out loud, so I can totally relate. I think we all need to laugh at ourselves more often. I love this pen, it is a great keepsake and a fun novelty gift. I like that it is really her laugh. I think everyone should have one and buy one for a friend because it makes me laugh every time I hear it and I think you will too! I recommend it.